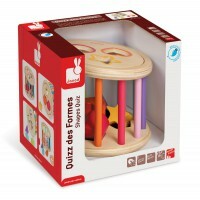 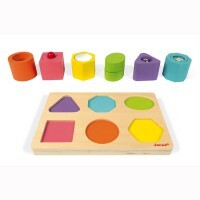 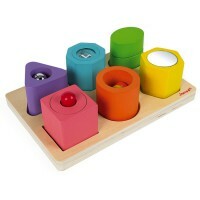 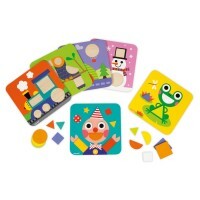 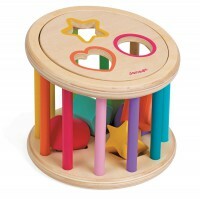 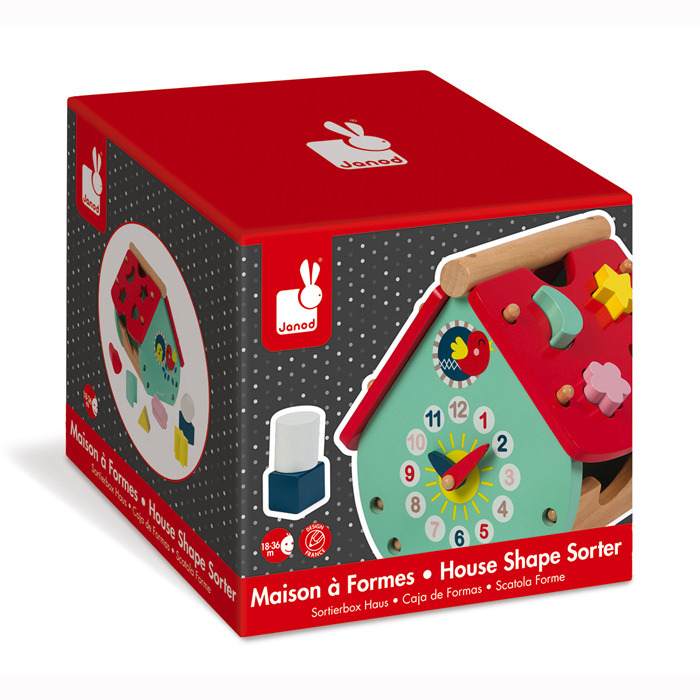 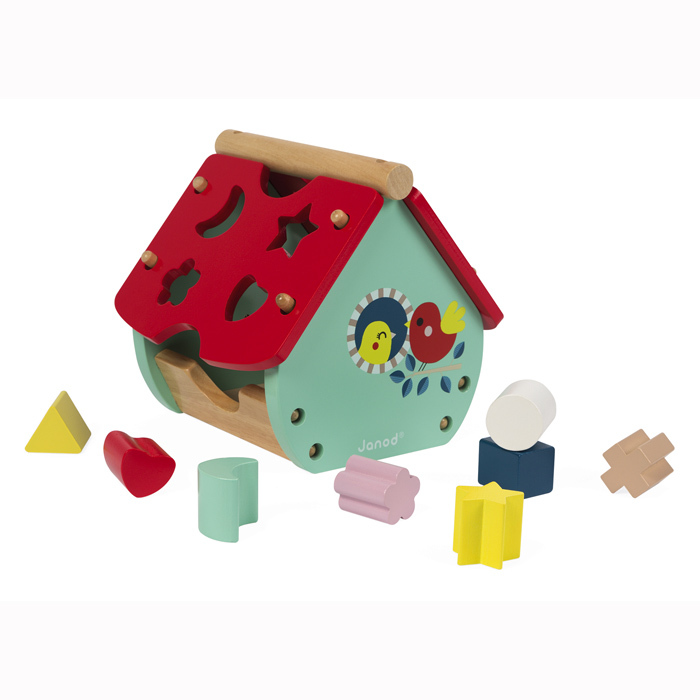 The Baby Forest House Shape Sorter is stylish and contemporary while being a great learning tool for the littlies. 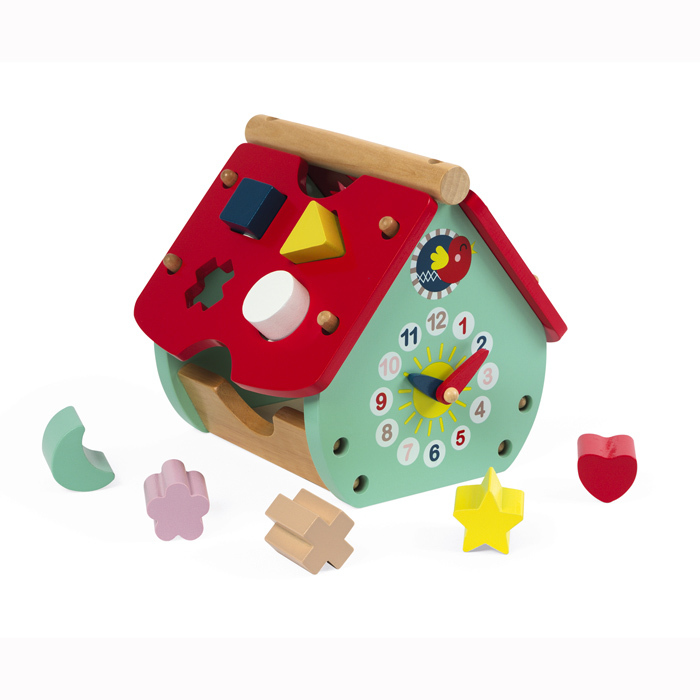 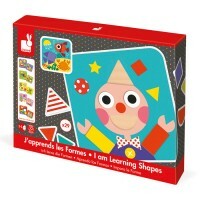 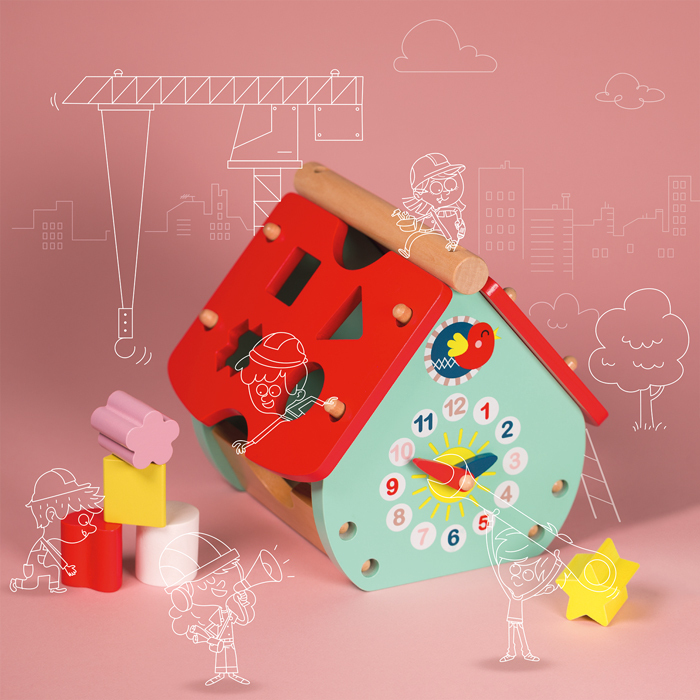 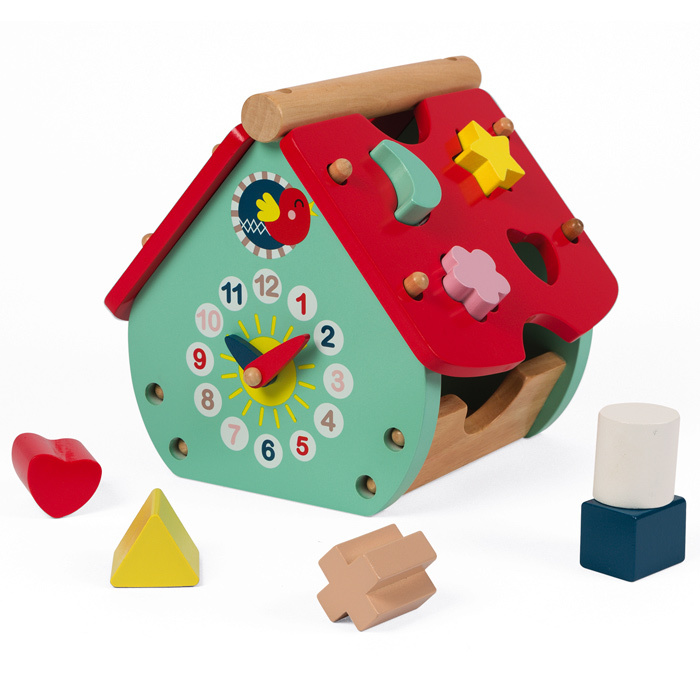 It has eight different shapes to place in the right hole which assists in motor skills and association plus a clock on one end with movable arms to help learn the basics of counting from 1-12 and telling time. 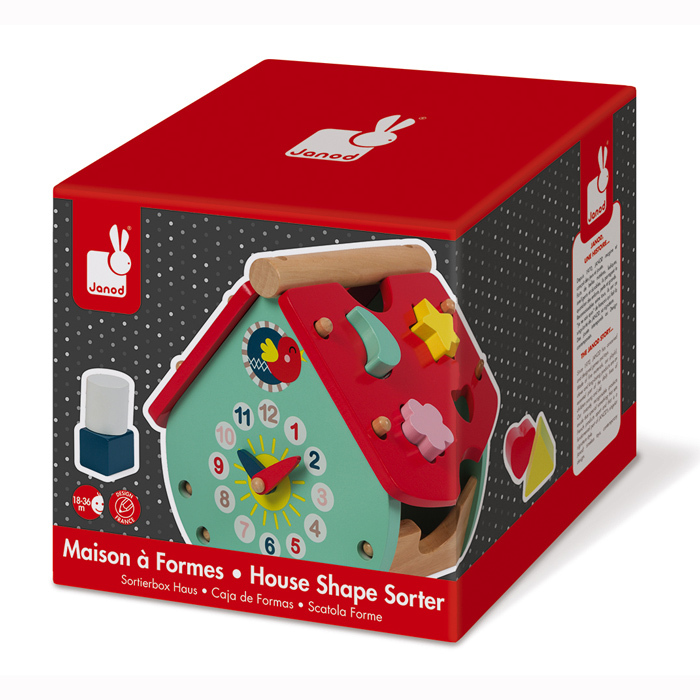 Everything stores neatly inside the house and is easy to carry with the attached handle - perfect for a sleepover at granny's!